It's no secret that Billy Corgan (Smashing Pumpkins) is a Rush fan. He is a self proclaimed "fanboy", and besides expressing his love of the band in Beyond The Lighted Stage, spoke at Rush's Hollywood Walk of Fame Induction Ceremony. In a new interview with the Chicago Sun-Times, Corgan discusses how "his inspirations are now bands that continue to make music but without artistic pretense, such as Neil Young, Iggy Pop, and particularly Rush. He says the Canadian rock giants have taught him that 'the right way to get older is no apologies, do your thing, and when you get out there, you can still walk off the stage feeling you’re one of the best at what you do. You don’t feel they’re leaving anything on the table or phoning it in,' he says. 'That’s the spirit that made you love them in the first place. '” Check out the full interview here. - Thanks to David Cooper for the headsup! The new October issue of Guitar Player magazine (featuring Slash on the cover) includes a major feature on John Wesley (Porcupine Tree) titled "Dose Of Reality; John Wesley's No-Holds-Barred Rock Reflections". 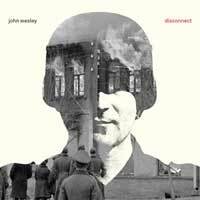 Wesley's new album, Disconnect (cd/itunes), includes a guest appearance by Alex Lifeson on the track "Once A Warrior". The Guitar Player feature includes the sidebar "Alex Lifeson On John Wesley" written by Alex himself. - Thanks to Anil Prasad for the headsup! 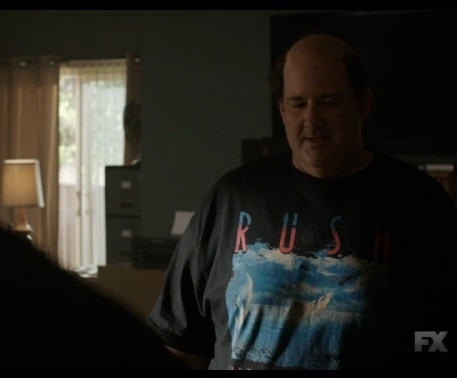 Rush Referenced Again on FX's "The Bridge"
As explained in my previous update, the season premier of FX's "The Bridge" (aired July 9) included a scene where Daniel (Matthew Lillard), goes to see his AA sponsor Gary (Brian Baumgartner) who is wearing a Grace Under Pressure t-shirt and the two discuss Rush. 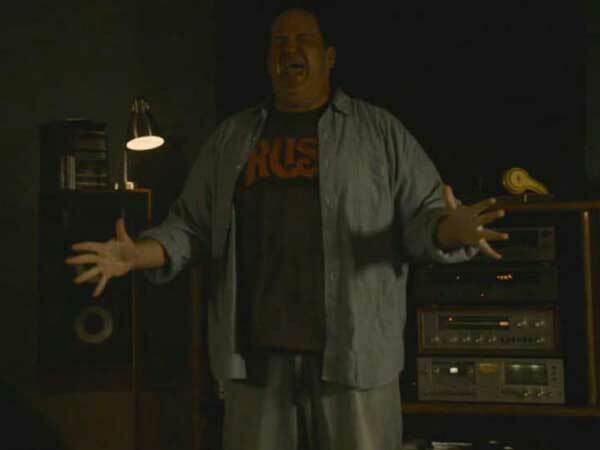 In the followup episode "Lamia" (aired August 20), Daniel is at his apartment (wearing the Grace Under Pressure shirt from the previous episode) with Gary (who is wearing a Rush explosion t-shirt), doing cocaine and listening to "The Spirit of Radio". - Thanks to everyone who alerted me, and to RushIsABand for the sceenshot. 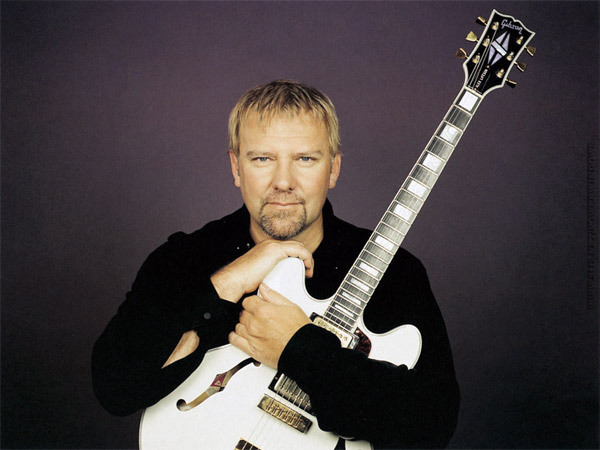 Today is Alex Lifeson's 61st birthday! Take a break from celebrating and check out Gibson.com's "Alex Lifeson in His Own Words", a collection of "what Alex has said over the years about his guitar craft and worldview to other websites and magazines. Words of wisdom, wit and fun." - Thanks to Kevin Nash for the headsup! "Recording with Neil Peart, the legend, is actually just like recording with Neil Peart, one of your best friends. He’s one of my favorite human beings. But what you quickly realize with Neil is that he’s just a guy who has a job, and he’s really good at his job. When we were doing our last record, Burning the Days, he and I decided to try to write a song together. It was a song called 'Even Now' and it went really well and he ended up playing drums on it. On Echoes From The Underground he plays on 'Instamatic' and 'South for the Winter.' One thing people might not realize about Neil’s drumming is how much he plays for the singer. It’s uncanny how sensitive he is to the voice. He wants to build you up as a singer and build up the vocal performance. As the singer in the band, it’s really incredible to hear him propel me forward and raise me up. 'Instamatic,' to me, is one of the greatest performances of his incredible career. It’s a master class in rock drumming and I was thrilled beyond belief to have him appear on our record." Kevin J. Anderson announced on Saturday that he will be putting together an anthology of Rush-based stories he will be coediting with John McFetridge for ECW (publishers of Clockwork Angels). "We have a gang of award-winning and bestselling authors already lined up to contribute stories based on Rush songs". In addition, he will be writing a novella called "2113". Neil Peart has updated his website with the latest edition of News, Weather & Sports titled "Magnetic Mirages". Neil tells us of his detailed visits to the Channel Islands off the California coast this past spring on Michael Mosbach's boat, the SS Obtuse. Geddy Lee of accepts "Les Claypool"'s ice bucket challenge - and in The Spirit of the ALS Ice Bucket challenge, puts it forward to musician Ed Robertson of BNL, actor Jay Baruchel and baseball legend Randy Johnson. Progarchy.com has posted the essay "The Stoic Wisdom of Neil Peart", a thoughtful analysis on how Neil's lyrics follow the teachings of Stoicism. Without knowing it I think I'm a Stoic! Music Radar has announced that Neil Peart will participate in the Drum Expo 2014, which will go live this Wednesday and Thursday. The Expo will feature a number of online interviews, drum lessons and more from a some of rock's biggest drummers including Rush's Neil Peart. Visit Music Radar for details. Robert Freedman, author of the Rush Vault website, is a journalist and communications professional who has just announced the publication of his book Rush: Life, Liberty, and the Pursuit of Excellence. The book is Freedman's analysis of the Aristotelian philosophy embedded in Rush's lyrics over their 40-year recording career, and can be purchased directly from the publisher here. "Rush is often referred to as a libertarian rock band, but really what the band is channeling is an Aristotelian individualism, a philosophy that strongly resonates with today's 40-somethings. This helps explain the band's resurgence in popularity, culminating in its 2013 induction in the Rock and Roll Hall of Fame. 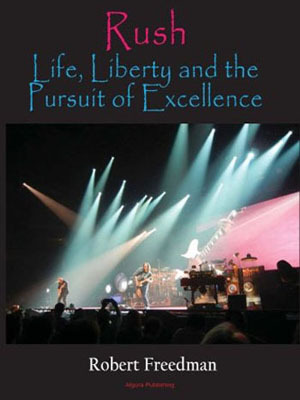 'Rush: Life, Liberty and the Pursuit of Excellence' brings together the excitement of the band's progressive music, performed by three musicians whose mastery of their instruments has won them the admiration of their peers, and the surprising philosophical sophistication of their music's lyrics. The book is a systematic look at the Aristotelian philosophy embedded in the band's lyrics over its 40-year recording career. Although the topic of the book is academic, the writing is sharp, down-to-earth, and leavened with a dry wit. Anyone interested in the band's music, popular culture, and philosophical ideas simply explained will enjoy this entertaining and thought-provoking work. 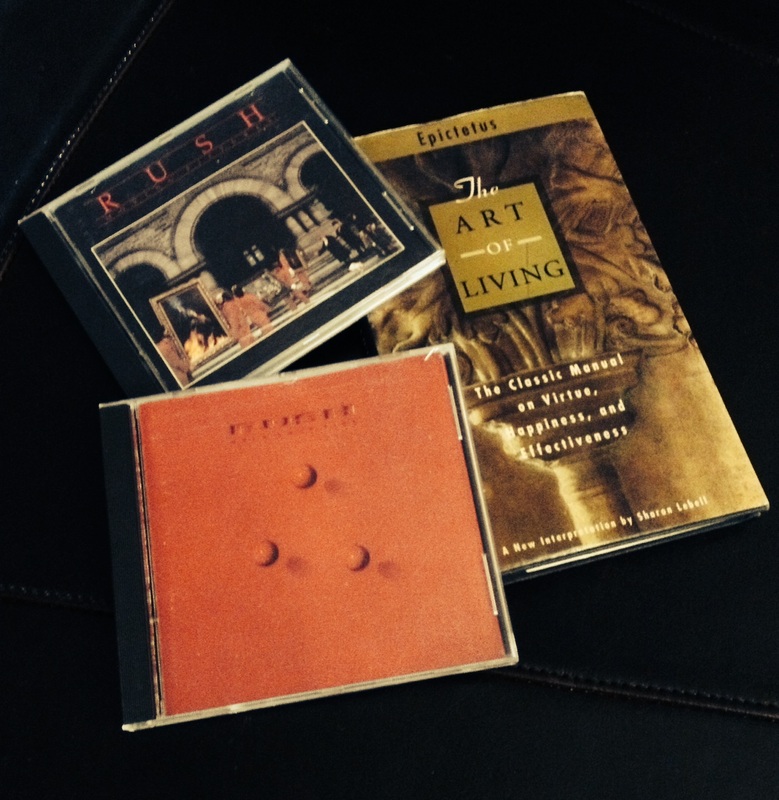 As a cultural phenomenon, Rush is worthy of serious study, and although other books have looked at the philosophical character of the band's music, this is the first time the music over the band's entire 40-year career is demonstrated to fall under a single, unified theory: Aristotelian individualism. Even readers who have pored over earlier books on Rush will enjoy this unifying theme. 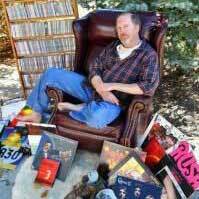 'Rush, Rock Music and the Middle Class' (by Chris McDonald), says Rush is an avatar of middle class values. While the work ethic and value structure of the middle class is part of the band's philosophy, that is just a subset of the band's Aristotelianism, as shown by Robert Freedman here. The unified Aristotelian philosophy is also different from what's discussed in 'Rush and Philosophy' (edited by Durrell Bowman and Jim Berti) looks at the band's music through multiple philosophical filters and no attempt is made to look at the music through a single, unifying lens. Another book that studies Rush lyrics, 'Mystic Rhythms' (Carol Selby Price ad Robert M. Price), provides an interpretation of selected lyrics but does not systematically look at any philosophy. Rather, it approaches the lyrics as literary analysis and provides no overarching theoretical framework." For more info, visit the author's book page here. - Thanks Robert for the headsup! The fourth of the six part Clockwork Angels comic book series is released today, August 6th. The standard comic store cover series can be ordered directly from Boom! Studios at this link, and the limited edition cover featuring key lyrics from Rush songs that are tied to the comic is also available via BOOM! Studios as well as the Rush Backstage Club. 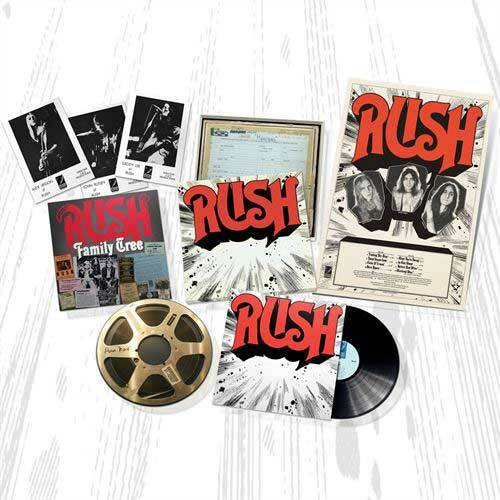 Rush 40th Anniversary Reissue Box Set Nominated for Prog's "Storm Thorgerson Grand Design Award"
Rush have been nominated for an award at this year’s Prog Awards in the following category: STORM THORGERSON GRAND DESIGN AWARD, for the Rush 40th Anniversary Reissue Box Set. This year the Awards take place at the prestigious Underglobe beneath Shakespeare’s Globe Theatre, on Thursday September 11. Rush Featured in Prog's "100 Greatest Prog Albums Of All Time"
Today Prog magazine shared the fact that on Wednesday the latest issue of Prog magazine is coming out, featuring the 100 Greatest Prog Albums Of All Time - as chosen by the readers and a host of prog stars. As you can see, Hemispheres, 2112 and Moving Pictures are pictured on the cover! It's time for the latest round up of Rush References in Pop Culture! Chipotle's "Recipe For The Perfect Fountain Drink" by Bill Hader, introduced May 15, 2014. 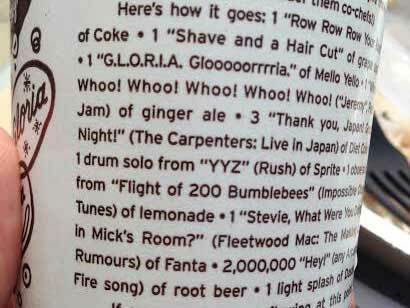 Part of Chipotle restaurant's "Cultivating Thought" author series featuring original essays by various luminaries, Hader's recipe includes "1 drum solo from 'YYZ' (Rush) of Sprite." Dana: "3 beers and you are already sloppy. You're not getting laid tonight." Aaron: "Poor Geddy Lee." Dana: "Who's Geddy Lee?" Aaron: "The lead singer of Rush...He is also head of the rhythm section of my personal humpty-hump band." Dana: "Hmmm... Poor little Geddy Lee." Aaron: "He's not little. He's of average to maybe above average height." Dana: "I'm sure he'll be able to lay some sweet beats down once the band gets back together." Aaron: "Jesus Christ ... he's the bassist." Playing House, the USA Network television series, aired May 20, 2014. During the episode "Drumline" (Season 1, Episode 5), Maggie attends her high school drumline reunion where she reconnects with an old crush that she and her friend Emma refer to as the guy "in the Rush t-shirt", and he is later shown wearing a Fly By Night t-shirt. The girls end up getting arrested and when Rush t-shirt guy picks them up from jail in his van Maggie is now wearing the Rush t-shirt. In the final scene of the episode "Limelight" is heard. Tapas & Beijos (Slaps & Kisses), April 5, 2011 - present. In this Brazilian sit-com, a Snakes & Arrows-era Rush poster can be seen on the back wall of actor Fabio Assuncao's apartment. Daniel: "Rush? Really?" Sponsor: "Yeah - I like Rush. So what?" Daniel: "Are you Canadian?" Sponsor: "No. I'm just a fan." Daniel: "Do you like them when you're sober? I mean that's impressive. I mean 2112 is an okay album but" Sponsor: "Hemispheres dude?!" Daniel: "Hemispheres is like...ok it's fine...I may be buzzed now but tomorrow I'll be sober and you sir, will still be a Rush fan." Coincidence? A recent astronomical discovery is a red star called "HV 2112"! In the new television program titled Rush, during the episode "Don't Ask Me Why" (season 1, episode 2, aired July 24, 2014), Dr. Rush attends an MMA figher who asks, "So, Rush like the band?" to which he replies "Sure, like the band." And finally, on June 1st the Netflix original program Trailer Park Boys: Live in Fu**in' Dublin was released. 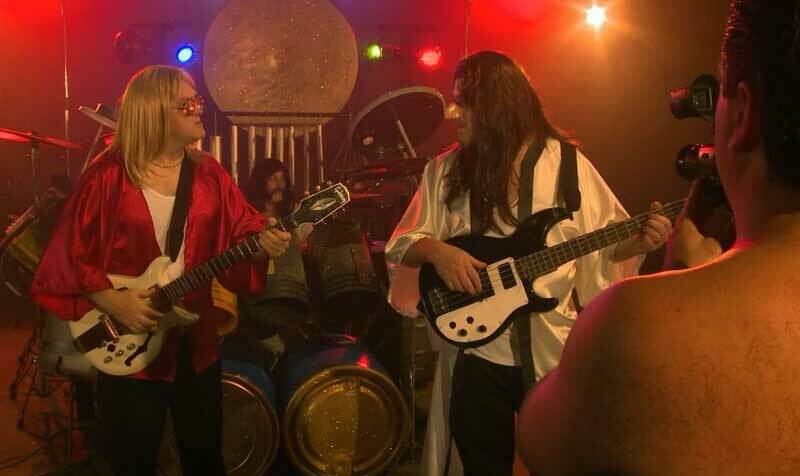 After Bubbles, Ricky and Julian recreate and lip synch Rush's classic video for "Closer To The Heart", Bubbles learns he won a Rush internet contest to determine their greatest fan when Alex Lifeson sends a video confirming Bubbles and three friends will be flown to Dublin in Rush's jet to see the band. The movie later includes a partial live performance by Bubbles of "Closer to the Heart" and "Limelight", and during the credits Rush's original video for "Closer to the Heart" plays along side the Trailer Park Boys lip synch version. 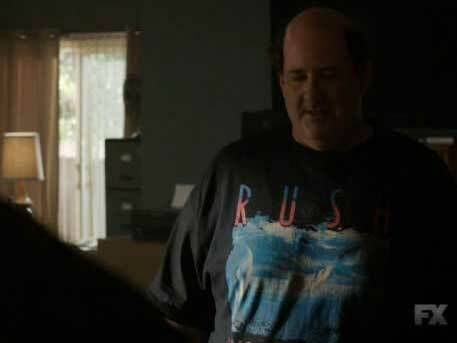 Click here for our complete list of Rush references in Pop Culture. - Thanks to sgtgaratty, Chris Branch, Sami Mandelbaum, Nicole Wiesinger, Jeff Lucas and RushIsABand for the headsup! “I know my mom is very happy!” frontman Geddy Lee told the Toronto Star. “We met with the park architects and were really impressed with the thought and plans they have for it,” Lee said. Early designs for the area include art installations, a collaborative performance space and even a small bandshell for “acoustic concerts,” according to Willowdale Councillor John Filion, who first hatched the tribute plan two years ago. The councillor contacted Lee with the idea, and he immediately got on board — albeit with one condition. “He said he was interested and honoured, but also suggested it be named after Alex Lifeson, too,” Filion said. "...Lee and Lifeson are expected to be honoured when a unique creative space in Willowdale is named the Lee Lifeson Art Park. A report on the proposed name is scheduled to come before North York community council Aug. 12. "The park will be built next year northeast of Yonge Street and Sheppard Avenue between Hillcrest and Princess avenue, east of Gladys Allison Place. While it will be a local space meant for area residents, it will be more than an ordinary park. "“Two years ago, I came up with the idea to create a park that would focus on the arts and would be a celebration of creativity, where people could go to be creative or go to enjoy others’ creativity,” Filion said. “All the arts will be represented there but the focus will be on music and sound. This is really a new concept, there isn’t a prototype anywhere. It’s nothing we’re copying from anywhere else.” When it came time to think of a name for the park, Lee and Lifeson’s names “just jumped off the page,” Filion said. UPDATE: The contest is closed, congratulations to our winners! 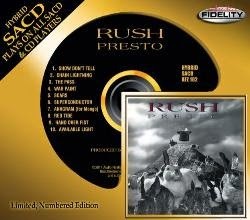 The latest Audio Fidelity hybrid SACD release is Rush's Presto. Although it has a release date of July 15th, copies are now shipping. 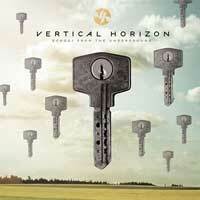 To celebrate this release, Audio Fidelity is offering a 20% Discount to readers of the Power Windows website. To receive your discount, simply head over to www.audiofidelity.net, click on the Presto "buy" button, and then enter SCARS20 when prompted at checkout. The discount code will remain active through September 30, 2014. What Presto track was not performed on tour until 2010? Answer: "Presto" was first performed live on the Time Machine Tour. What Presto track title references a line in a movie? Name both the song and the movie. And now the hard one: what Presto track was originally intended to be an instrumental?